Django is a powerful web framework that can help you get your Python application or website off the ground quickly. Django includes a simplified development server for testing your code locally, but for anything even slightly production related, a more secure and powerful web server is required. 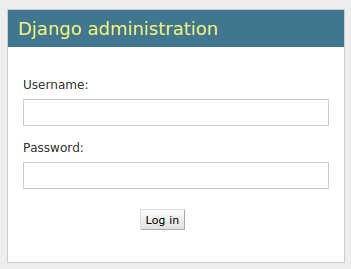 In this guide, we will demonstrate how to install and configure Django in a Python virtual environment on CentOS 7. We'll then set up Apache in front of our application so that it can handle client requests directly before passing requests that require application logic to the Django app. We will do this using the mod_wsgi Apache module that can communicate with Django over the WSGI interface specification. In order to complete this guide, you should have a fresh CentOS 7 server instance with a non-root user with sudo privileges configured. You can learn how to set this up by running thorugh our initial server setup guide. We will be installing Django within a Python virtual environment. Installing Django into an environment specific to your project will allow your projects and their requirements to be handled separately. Once we have our application up and running, we will configure Apache to interface with the Django app. It will do this with the mod_wsgi Apache module, which can translate HTTP requests into a predictable application format defined by a specification called WSGI. You can find out more about WSGI by reading the linked section on this guide. To begin the process, we'll download and install all of the items we need from our distribution's repositories. This will include the Apache web server, the mod_wsgi module used to interface with our Django app, and pip, the Python package manager that can be used to download our Python-related tools. Now that we have the components from the repositories, we can start working on our Django project. The first step is to create a Python virtual environment so that our Django project will be separate from the system's tools and any other Python projects we may be working on. This will create a directory called myprojectenv within your myproject directory. Inside, it will install a local version of Python and a local version of pip. We can use this to install and configure an isolated Python environment for our project. Your prompt should change to indicate that you are now operating within a Python virtual environment. It will look something like this: (myprojectenv)user@host:~/myproject$. Now that Django is installed in our virtual environment, we can create the actual Django project files. We are going to be using the default SQLite database in this guide for simplicity's sake, so we don't actually need to change too much. We will focus on configuring the static files directory, where Django will place static files so that the web server can serve these easily. You will have to confirm the operation. The static files will be placed in a directory called static within your project directory. Now that your Django project is working, we can configure Apache as a front end. Client connections that it receives will be translated into the WSGI format that the Django application expects using the mod_wsgi module. This should have been automatically enabled upon installation earlier. After this is configured, we are ready to construct the portion of the file that actually handles the WSGI pass. We'll use daemon mode to run the WSGI process, which is the recommended configuration. We can use the WSGIDaemonProcess directive to set this up. This directive takes an arbitrary name for the process. We'll use myproject to stay consistent. Afterwards, we set up the Python path where Apache can find all of the components that may be required. Since we used a virtual environment, we will have to set up two path components. The first is our project's parent directory, where the project files can be found. The second is the lib/pythonx.x/site-packages path within our virtual environment folder (where the Xs are replaced by the Python version number components). This way, Apache can find all of the other Python code needed to run our project. When you are finished making these changes, save and close the file. Next, we need to fix a few permissions sets so that the Apache service can access our files. By default, CentOS locks down each user's home directory very restrictively. To get around this, we'll add the apache user to our own user's group. This will let us open up the permissions just enough so that it can get to the appropriate files. This will give Apache the ability to enter our home directory. If you are using the SQLite database, which is the default used in this article, you need to allow the Apache process access to the database file itself. You should now be able to access your Django site by going to your server's domain name or IP address without specifying a port. The regular site and the admin interface should function as expected. In this guide, we've set up a Django project in its own virtual environment. We've configured Apache with mod_wsgi to handle client requests and interface with the Django app.